Item # 318137 Stash Points: 2,495 (?) This is the number of points you get in The Zumiez Stash for purchasing this item. Stash points are redeemable for exclusive rewards only available to Zumiez Stash members. To redeem your points check out the rewards catalog on thestash.zumiez.com. Show your love for 2 Chainz' fifth studio album by rocking the 2 Chainz Crate Juug Boxer Briefs from Ethika. 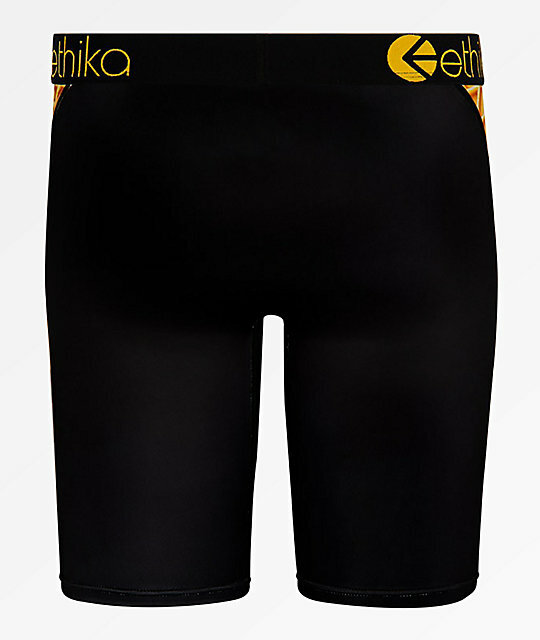 These ultra-comfortable boxer briefs feature Ethika's famous Staple Fit, with flatlock seams, no-rise technology, and a thick elastic waistband. 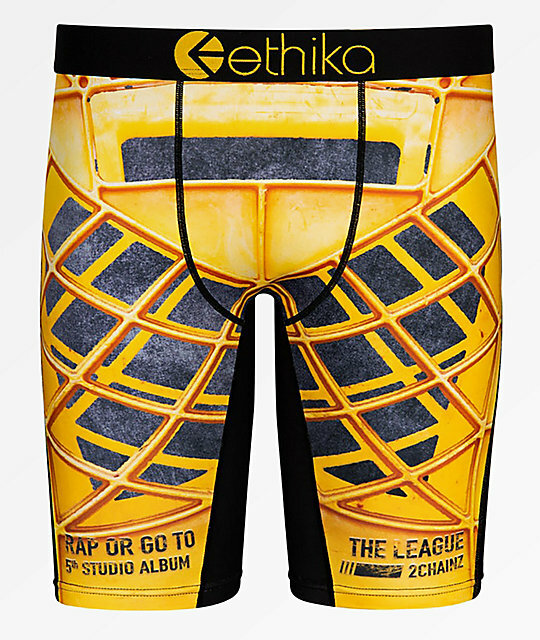 This undergarment is completed with sublimated graphics from 2 Chainz' recent album, Rap Or Go To The League. 2 Chainz Crate Juug Boxer Briefs from Ethika.